Jared & Molly have a special place in the woods, and I felt fortunate to be included in their magical day with family and friends. Being a photographer is the best because I get access to unique venues and places I have never explored. I also get to capture the most special days for my clients. 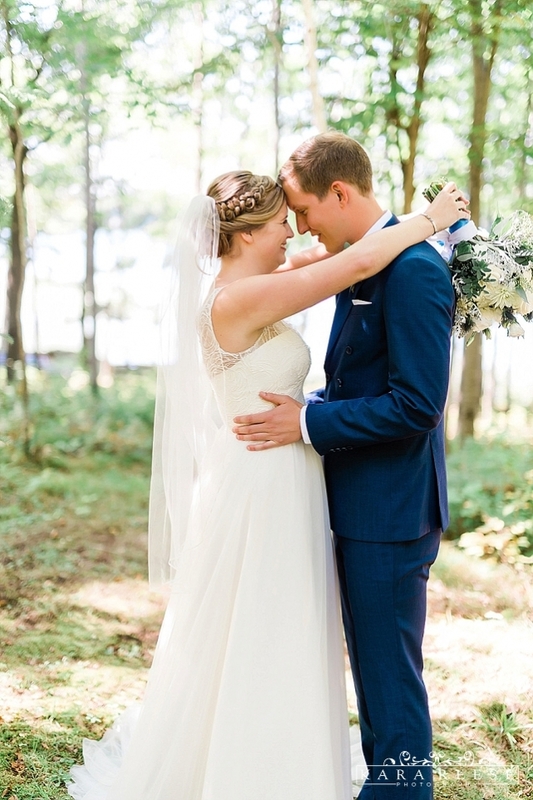 These two met back at St. Olaf college and have been writing their love story for 5 years. Molly & Jared were such a wonderful couple and I think the images are stunning. The trees and the lake were the perfect backdrop for their unique wedding portraits. 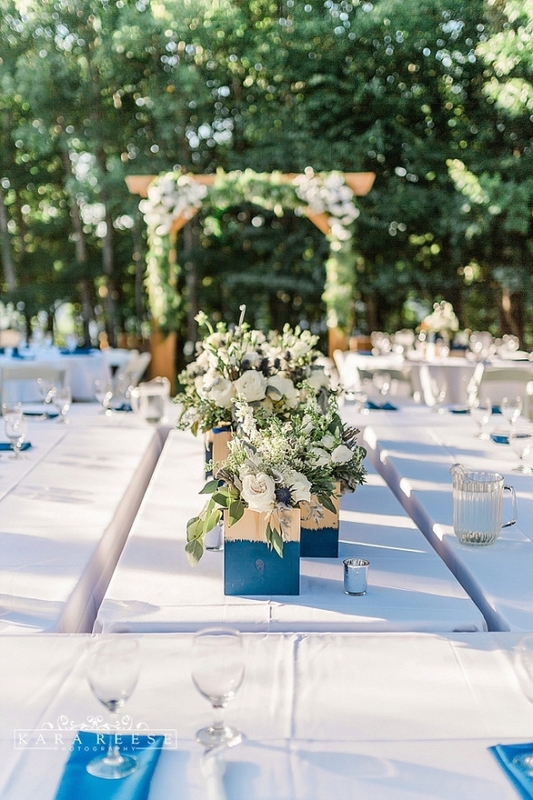 Do you have a family cabin that could double as a wedding venue? I’m there! Jared proposed at the end of a long day of moving into our first apartment together. We loved the ceremony, the boat ride with our bridal party, the speeches, and dancing with everybody on the dance floor! Tell me about the dress. Where did you find it & how did you know it was the one? 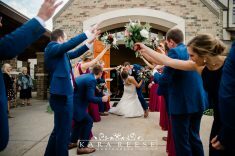 My dress came from Posh Bridal in Wayzata, MN. Ideally, I wanted something that would be light since I had an outdoor wedding. I was also looking for an a-line so that I would feel comfortable all day but also flatter my body type. My consultant at the bridal shop picked out my dress for me and at first I was doubtful. It did not look like what I had pictured myself in. However, I felt really good in it. Maybe because the details were unique. Certainly the lines were flattering & it was super comfortable. Even though it was unexpected, it looked like me. It was the first time my family and I teared up at a dress. Because of the confidence the dress gave me and the reaction it gave my family, I knew it was the one. The planning was definitely stressful, but we felt so grateful for all the support around us. It was a lot of work to plan and organize a wedding that we also had to host, but our family went above and beyond to help us in every way. It was so worth all the work that went into it and the love and support we felt on our day will never be a feeling we will take for granted. Any advice you would offer to other couples planning a wedding? Don’t spend too much time fussing about the small details. You spend the whole day enjoying the company of all the people that came out to support you and your fiance, that you won’t even notice if something wasn’t just right. In the end, what matters is that you are marrying the person you love – trust that everything will turn out just that it is meant to be. It was great!! You were so nice, patient, and flexible even though we were so unorganized. You knew what we wanted, and spent time on details we cared about, but you were still efficient with the photos that were not as important. 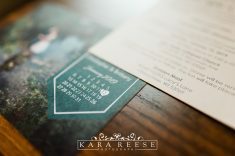 Kara Reese Photography is so creative as well, finding opportunities for unique and fun photos & we LOVE how they turned out. What were you most anxious about for your wedding day and what was the outcome? I just wanted all the guests to have a fun day . We didn’t want them to worry about anything! Really, I just wanted to host a good party with the best drinks, food, and music we could. As far as I know, the outcome was great. I thought everything went well – we had good feedback on our drinks and food and our dance floor was full the whole night. My husband and I had the best time. Once the day got started, it was relatively stress-free. As a result, we owe that 100% to our friends and family who were working all day to make sure everything went smoothly for the guests. Other Vendors that you loved, shout them out!